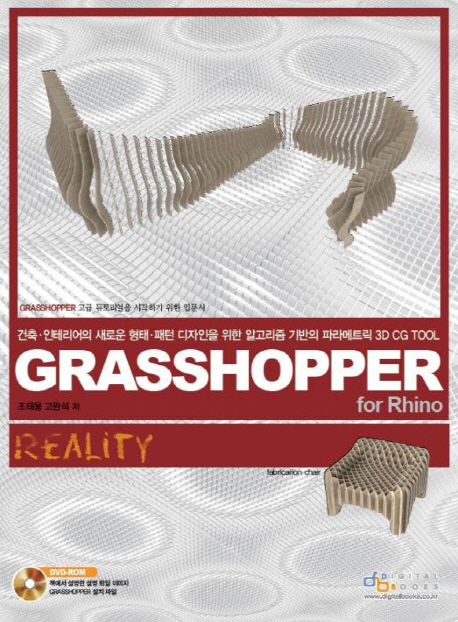 "Grasshopper for Rhino Reality" by Taeyong Cho (DA Group) and Wansuk Ko (DA Group) is a new Grasshopper tutorial book in Korean. The book shows readers a basic overview of Grasshopper including interface and components as well as how to use Grasshopper with step-by-step instructions. This book is designed for beginners and professionals.